This is our March USA Archery indoor pin shoot! JOAD and AAP archers will shoot together. We'll start at 1:30 p.m. with 3 ends of practice. 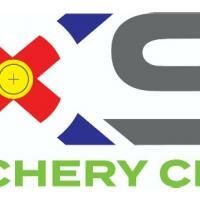 You do not have to be a member of XS Archery Club to participate. Cost: $20. Email xsarcheryclub@gmail.com with any questions.